Each year, UIC and Chancellor Michael Amiridis honor alumni for the remarkable success they have achieved in their lives and work. We are proud to announce the winners of the 2018 UIC Alumni Awards, who were celebrated at the annual Alumni Awards Luncheon on October 11, 2018. 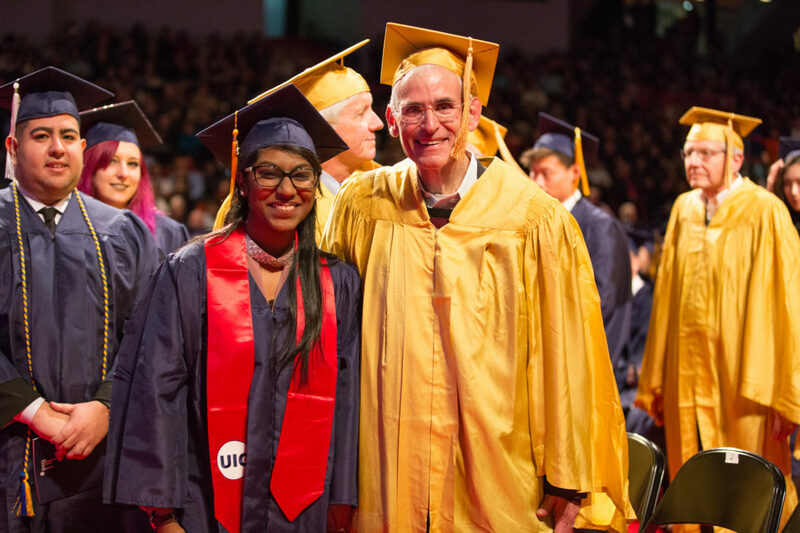 In December 2016, the UIC launched a new tradition to honor alumni celebrating the 50th anniversary of their graduation. Both University of Illinois Medical Center and Circle campus graduates were invited to commence alongside UIC’s newest alumni. Members of the honored class don golden robes and caps at the Fall Commencement ceremony in December. Read about the class of 1968’s ceremony. 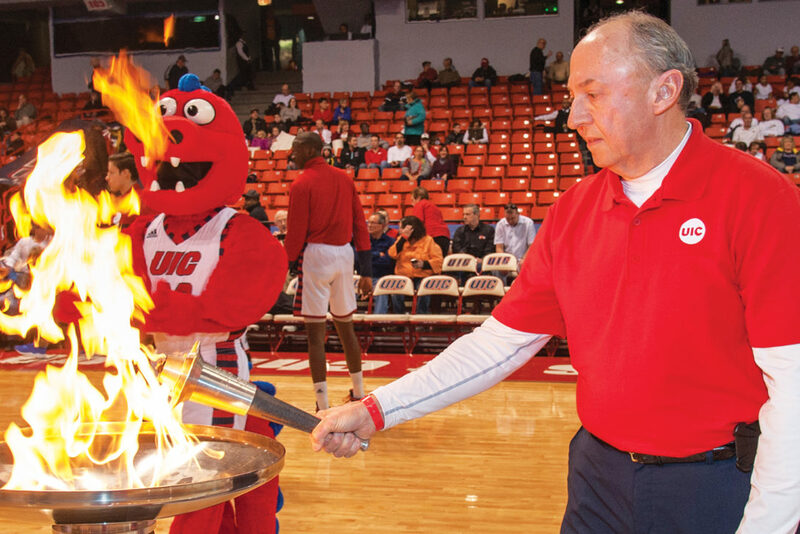 UIC Advancement partners with UIC Athletics to provide a special opportunity for distinguished members of the UIC community, who have exemplified extraordinary interest in and loyalty to UIC, to serve as Torch Bearers in the Lighting of the Flame. First held in 1998, the Lighting of the Flame ceremony is typically held at either a large University gathering, such as Convocation, or before the start of a Flames men’s home basketball game. Torch Bearers carry a symbolic torch onto the UIC Pavilion floor and light a cauldron while the school song is played. 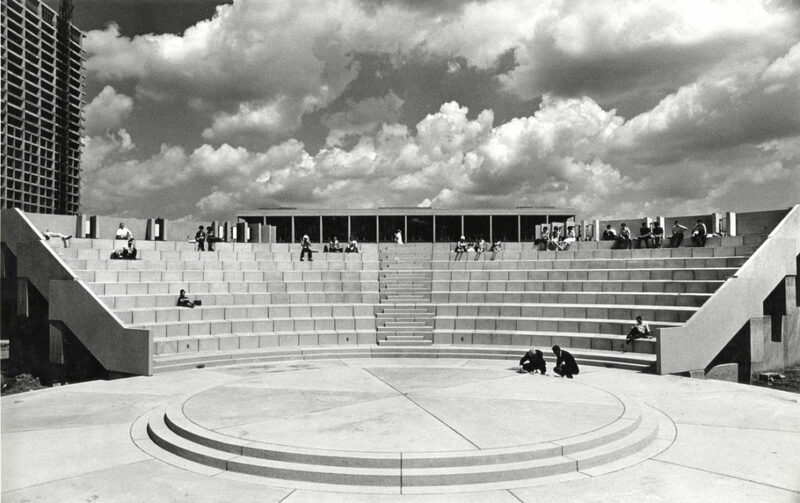 Since the earliest days of our campus, we have created access to an outstanding education for talented students of all backgrounds. Our history is steeped in commitments to social justice and community engagement, as well as discovery and innovation.